Resellers positioning SD-WAN might want to tone it down on the cost savings pitch with customers keener to hear about how adopting the technology will improve their security. The technology has been pitched as a way to save money through lower operational costs, provide improved management and capability capabilities, give end-to-end network visibility as well as improving security. It is that last point that is resonating with customers with TechTarget research indicating that right now improving security posture and reducing risk is the number one driver for firms looking at the SD-WAN. Security is followed by using the technology to enable a cloud infrastructure and then the desire to enjoy lower operational costs comes into play. Zeus Kerravala, founder and principal analyst at ZK Research, said the findings of the research showed that the WAN had not fundamentally changed in decades and SD-WAN came with the promise of lower cost and more agility. "The drivers for SD-WAN has really changed and security has bubbled up to the top. Over the past few years there has been a lot of focus on cost savings," he said. A quarter of those customers quizzed by TechTarget were using SD-WAN and a further 44% were either in pilot or planning to roll something out in the next two years. A third had no plans around using the technology. There could be several reasons why a third are not looking at SD-WAN and the TechTarget research uncovered some of the barriers to entry. Customers confessed to struggling with skills and expertise and as a result that was a barrier to adoption. So were the perceived high costs of the technology and the cost of upgrading and migrating from legacy hardware. "Lack of skills gives an opportunity for channel partners," said Kerravala but warned that investment from partners around ensuring they could provide support had to be made. 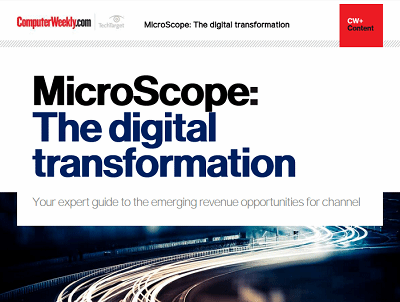 With some customers expressing issues around being uncertain about the ROI, struggling to get executive buy-in and in the case of 11% claiming there was 'no business need to deploy SDN' the size of the education mission for the channel has become clear. Kerravala added that he saw networking as the foundation for digital transformation, which is a topic dominating most channel discussions at the moment, but there still needed to be more done to get that message across: "There is some education needed in the market to tie networking to digital transformation". The message about selling on the strengths of security has not been lost on vendors on that side of the industry. An increasing number of players are starting to talk about SD-WAN, with WatchGuard the latest to make a solution available for partners to take out to market. Brendan Patterson, vice president of product management at WatchGuard, said that it made sense to add SD-WAN to the layered security services it already offered. 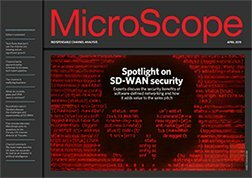 “As businesses look to leverage SD-WAN technology to reduce OPEX and support better user experiences on the network, and as the threat actors continue to leverage advanced cyber attacks, these new capabilities offer the best of both worlds by driving down the cost and complexity of SD-WAN deployments, while protecting branch sites with industry-leading security," he said.